Why It's Important To Let Professionals Do Your House Removals? Why is it Important to Let Professionals Do your House Removals? 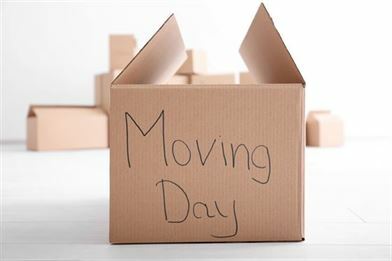 Are you planning to move to a new location? Then hiring professional movers to assist you is important. With the help of professionals, you can lessen the stress associated with moving. Compared to doing things on your own or seeking the help of inexperienced family members and friends, it would be much better to let professionals do house removals. They are more reliable and efficient since offering moving services is their speciality. Professional movers underwent extensive training so they can perform the most reliable moving techniques. They can, therefore, guarantee the safety of their clients’ belongings. In addition, they are more efficient when it comes to handling huge and bulky items, like heavy boxes and furniture. You’re also assured of an efficient transfer of your items not only to the truck but also to your new home. With a professional mover around, you can avoid handling the moving process alone. There’s no need to do some heavy lifting that might only result in back strain and other possible health issues. Some people like to build bars in their garage or in other areas of their homes, now whilst moving the Bar Stools may be simple and easy, but dismantling, packing and moving the actual bar can be an issue without professional help. Moving is time-consuming without professional help. That’s why it’s recommended to deal with a moving company. You’ll have peace of mind since you can trust them to work fast without compromising the quality of their services. You can even ask them for a deadline as to when your possessions will arrive at the intended destination. Fortunately, it’s not that hard to look for prompt and professional moving services nowadays. Provided you found the right mover, simplifying and expediting your relocation is possible. They can also professionally handle big and bulky items once they reach your new home. For instance, they can quickly squeeze your bulky couch through a staircase without damaging it. Hiring professionals is also important as it promotes a safer move than when you do the process alone. They are experienced and well-trained so they know exactly how to transport your items safely. Note that loading and unloading boxes and packing and wrapping your items can be exhausting. It might even lead to costly damages. To minimize or fully eliminate the risk of damaging your items, hire professionals who know what materials, equipment, and moving techniques to use. Making an inventory of all items found in your home can be time-consuming and tiring. You can avoid having to deal with that if you pay for the services of a moving company. With that, your belongings will reach their new destination without spending time keeping track of individual items and boxes. Moving to a new location is already stressful. You can minimize the stress, risks, and hassles linked to moving by hiring professional movers. Remember that they have more experienced in packing boxes and transporting them than you, your friends and family. Let them do the job for your peace of mind.